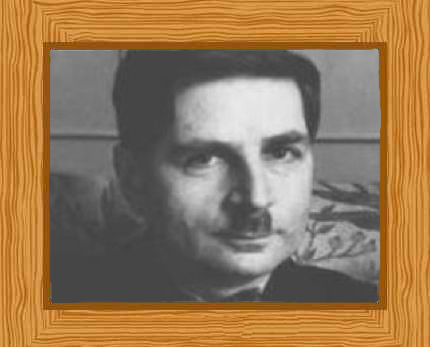 Walter Schottky, a famous name in the fields of electronics and physics has many devices bearing his name; scientific phenomena are also named after him. These include the Schottky effect, which is an irregularity in thermion emissions when a vacuum tube and the Schottky defect which describes a certain crystal lattice vacancy that results from the displacement of an ion to the surface of a crystal. An inventor, creating the ribbon microphone and the ribbon loudspeaker, he made a significant number of contributions to solid-state physics and electronics. Born on the 23rd of July, 1886, in Zurich, Switzerland, Walter Hermann Schottky was the son of a mathematician, Friedrich Hermann Schottky. Walter was one of two sons, and he also had a sister. He was born four years after his father’s appointment at the University of Zurich as a professor of Mathematics. Schottky’s family returned to Germany in 1892 when his father took a position at the University of Marburg. In 1904, he Walter graduated from school at Berlin’s Steglitz Gymnasium. He then continued his education and completed his B.S. degree in physics in 1908 at Berlin University. Four years later, he completed his doctorate degree, also at the University of Berlin, where he was under the instructions of Heinrich Rubens and Max Planck, two of the most notable names in physics during those years. Schottky’s thesis was called “Zur relativtheoretischen Energetik und Dynamik” (On relativistic energetics and dynamics). Schottky then undertook post-doctoral studies at the University of Jena for two years from 1912-1914 and discovered the Schottky effect – that strong electric fields increase the emission of electrons emitted by hot filaments. Unable to be drafted into the armed services during the First World War because of ill health, Schottky conducted experimental research at Berlin University. In 1916 he accepted at position at Siemens & Halske becoming director of their cable laboratory in 1917. Schottky returned to academia in 1919 and moved from Berlin to Wurzburg to study towards his Habilitation degree which he obtained in 1920. He then gave lectures as a Privatdozent lecturer at the University of Würzburg from 1920-1922 before becoming a professor theoretical physics at the University of Rostock, Germany in 1923. Leaving the world of academia in 1927, Schottky worked as an industrial researcher at Siemens & Halske; he was located in Berlin as well as Pretzfeld, the latter a rather obscure town in Bavaria where Siemens had a research center. He would work for Siemens for the rest of his career. During his time there, Schottky conducted research on semiconductor physics. He also studied electronics and worked with the vacuums. In 1918 he patented the superheterodyne principle for receiving wireless signals. His research on noise emitted from electron currents in vacuum tubes was also referred to as the Schrot effect, or literally, the small shot effect. He invented the ribbon microphone with Erwin Gerlach in 1924. They devised a fine ribbon suspended in a magnetic field which produced electric signals. The same concept led to the ribbon loudspeaker which used the same idea but in reverse order. This invention, however, was not considered practical until high flux and permanent magnets were made more accessible in the latter years of 1930. One of the most noted scientific achievements by Schottky was his formula which helps compute for interaction energy between a certain point charge and another flat metal surface while the charge is at a certain distance from said surface. The interaction derived from this formula is known as the image PE or image potential energy. This work by Schottky was based on Lord Kelvin’s earlier works on thermodynamics. Today, image PE is now one of the standard components in models which show the barrier to motion that electrons approaching metal surfaces experience. In addition to his contributions for scientific calculations and measurements he devised the screen grid tube, an evolution of the triode tube, in 1915. More improvements in 1916 paved the way to the development of the double-grid tube where the additional grid reduced space charge. In 1919 he invented the tetrode, the very first multigrid vacuum tube. Schottky studied electron transfers and he made contributions to the development of semiconductor devices. When the behavior of interfaces in semiconductor devices is studied closely, it was discovered that they can be a special kind of diode which is known as the Schottky diode. The metal-semiconductor joint is called the Schottky contact. In collaboration with Eberhard Spenke, Schottky published a comprehensive theory concerning the barrier layer and the point contact rectifier between 1939 and 1942. In 1936, Schottky was awarded with the Hughes Medal from the Royal Society for discovering the Schrot effect in thermionic emission. The award was also given for inventing the screen-grid tetrode and the method for wireless signal reception through a superheterodyne. He also received the Werner von Siemens Ring in 1964 because of the many different physical manifestations that his work gave basis to, especially for appliances which used semiconductors and tube amplifiers. Because of his contributions, the Walter Schottky Institute in Germany was named after him, as is the Walter H. Schottky prize. He published two books “Thermodynamik” in 1929, and “Physik der Glühelektroden” (Physics of Glow Electrodes) in 1928. He died in Pretzfeld, Germany on the fourth of March in 1976, aged 89.